Saturday we went to my cousin’s wedding and it was lovely. The bride was glowing, despite having had barely any sleep all that week, the groom was happy, and their parents were proud and moved by the occasion. It was a big wedding, the bride’s side of the family being a pretty extensive tribe, so it was wonderful to catch up with cousins, aunts and uncles, some of whom I haven’t seen in a few years. We had dealt with an early start, bad traffic and a diversion on the way down, a very carsick boy, and the wonderful temperatures of a sudden heatwave, after the seemingly permanent winter, all making us late to the ceremony, but we were in time for half the sermon and the important bit – the vows. It was beautiful. In the gap between the service and the reception, I headed off to hospital to briefly visit my brother, while Husbandman took the kids back to my parents for a couple of hours to play in the garden and attempt to relax – Ha! I am pretty certain that Husbandman and I spent most of the reception following The Boy and Mini One around the inside and outside of the venue, attempting to pause to have conversations with various family members and friends en-route, or taking them with us as we walked. It was exhausting, but we all got a good dose of vitamin D, so that was a definite bonus. Eldest, who is most definitely a people person, spent most of the afternoon and evening running off with my cousins, making friends and playing with another couple of children, and introducing herself to every adult she had the opportunity to meet. We checked in with her every so often, but she was so happy hanging out with my cousin whose album she loves, and she got to dance during the Ceilidh – “I did Ballroom dancing Mummy, like in Jane Austen!”, that when I finally told her it was time to go, she was red faced, exhausted and just about to tearfully conk out – just in time. The three of them, despite requiring a lot of energy to follow (and I had a pretty tough 25minutes trying to keep the younger two together on my own, whilst Husbandman went to fetch the car), I was so proud of them. They were a delight to be around and all handled the huge occasion beautifully, each in their own way. All three were fast asleep in the back of the car by 9:15pm and when we arrived home at 10pm, tired after the long day, they were unusually transferable as we put them to bed. Bizarrely on Sunday, Husbandman woke at 5:30am unable to return to sleep, followed by The Boy and Mini One an hour later. Despite attempting to doze, I had to be up much earlier than usual. Eldest is the earliest riser of our kids at around 8:30am most days, so with the extra early start, Sunday was very much a rest day. With Husbandman at work (exhausted) and me dead on my feet at home with the kids, we managed a trip to the park in the sunshine, but otherwise contented ourselves with being dressed and fed, watching tv, and playing with water. The house was a state, the washing up piled by the sink and I had no energy to tackle it. But it didn’t matter. It could wait. We each need a Sabbath. For Husbandman, Sunday is a work-day, so Monday has become his Sabbath, a day to flop, with very few demands on his time. Having at least a day with nothing planned each week is so important, because we are designed to work from a place of rest, not to rest from our work. But how often do we get this balance out of kilter? God rested on the seventh day. HE stopped ‘being productive’, and simply was. God saw all that He had made, and behold, it was very good. And there was evening and there was morning, the sixth day. Thus the heavens and the earth were completed, and all their hosts. By the seventh day God completed His work which He had done, and He rested on the seventh day from all His work which He had done. Then God blessed the seventh day and sanctified it, because in it He rested from all His work which God had created and made. Even within a normal day, we need Sabbath moments, half an hour here or there to stop, rest or pause, so that when we do return to our work, we are better for it and more effective in our tasks. However this Sabbath design to work from rest, rather than rest from work, has another vital benefit. It serves to remind us that we are not slaves, that first and foremost we are human Beings not human doings. Our identity is not found or forged in our work, but in our inherent dignity as children of God. This is something that God had to teach the Israelites once He had delivered them out of slavery in Egypt – where there had been no break from the daily grind. Work is something we do to use and hone our skills, to bring glory to God and to bless the world. This is why he has it written into the Law. “Remember the sabbath day, to keep it holy. “Six days you shall labor and do all your work, but the seventh day is a sabbath of the LORD your God; in it you shall not do any work, you or your son or your daughter, your male or your female servant or your cattle or your sojourner who stays with you. “For in six days the LORD made the heavens and the earth, the sea and all that is in them, and rested on the seventh day; therefore the Lord blessed the sabbath day and made it holy. Work may generally function to pay the bills, in our money-based culture, but it is not something we are to be enslaved to. Adam and Eve in the Garden had no pressure, but they still had work to do. It was only after the Fall that it became a toil. This all made me reflect how rest and Sabbath should mark the start of all new relationships and enterprises. This is reflected in our wedding tradition, as (usually) after the wedding day, the first thing the bride and groom do is take a honeymoon, a holiday with no work or any other demands on their time. Just the space to have a week or two to be husband and wife, to find out what it means to be a new unit, before all the stuff of life kicks in. Starting marriage, particuarly after the huge undertaking of a wedding, from a place of rest, gives the relationship and the individuals within it a healthy boost of nutrients at the beginning, and if the couple continue to honour the Sabbath and build it into their married lives, they will flourish. To keep Sabbath Holy means to keep it set apart from all that is usual. I know that I am getting better at honouring the sabbath moments in my life, stopping to simply read or listen to something for half an hour with only a cup of tea to be busy with, yet I still struggle against the pull of the lie that I am only what I do or produce. However I am discovering how vital rest is, to do something that feeds my soul, pressing pause on the duties of life, if I am to function healthily. So I am practicing forgiveness for the messiness, giving myself permission to flop, because there will always be more work, but I don’t want to miss all the life that happens in the smaller moments, because I was too exhausted to take it in. This is something I want to pass on to my children, so unless if I learn to model it by doing, how can I expect them to value it’s importance? 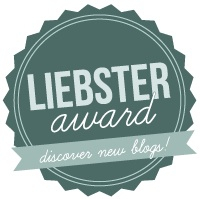 This blog has been awarded the Liebster Award.